The main flaw with your view is one of the P words, preventable. My death whilst flying is not inevitable. Flying, like motorcycling and many other risky activities attracts a certain number of people that can best be described as an accident looking for somewhere to happen. Fortunately most folk take safety seriously but I am sure we all know the odd person that does not. I am not suggesting that only the reckless end up in difficulties as clearly luck and circumstances can conspire against us. David Wood wrote: Indeed. Safety and Risk are not absolutes. A can be safer than B; C can be more risky than D. But nothing in this world is absolutely safe or absolutely risk-free. To me it's all about our own safety/risk awareness (in other words, using our own training and experience to understand the risk profile in a given set of circumstances) and then balancing that risk profile against our appetite for risk (in other words, how much risk we are prepared to accept on a particular occasion). These are all moving reference points, moving from day to day and sometimes hour to hour. And they give different results for all of us. For example, I am happy in general to fly a SEP at night, or in IMC with a low cloud-base. Others may not be. There's no right and wrong in that conflict of views. It's just that my understanding of the risks involved balanced against my personal appetite for risk sets the cursor at a particular point, whilst others are different. Vive la difference. What is beyond question is that the more experience we accrue, especially when we push the envelope and acquire the judgement borne of experience, the more likely we are to accurately assess the risks involved and to have a clearer perception of our own risk-tolerance. Dave on the face of it that would appear to a be a sensible conclusion however the foundation of personal safety for most pilots stems from the training they have received. If you have received poor training its very likely that your approach to safety will be very different from someone who has received training that is more focused on managing the aircraft safely rather than just pure psychomotor skill training. Experience doesnt nessicarily make you a better pilot, knowledge and attiude can make you a better pilot and you are generally born with one and acquire the other! Experience can in fact have the opposite affect as the accidents below show. Neil Williams was one of this countries greatest aerobatic pilots, an ex Empire Test Pilot School graduate, yet he killed himself and his wife in a simple CFIT accident that most PPLs with 15 hours P1 could have avoided. Graham Hill was a former F1 World Champion and experienced PPL but he killed himself and five others in an accident that most PPLs with 15 hours P1 could have avoided. Captain Veldhuyzen van Zanten was KLMs most experienced training captain and he killed 582 people in the worlds worst disaster that a PPL with 15 hours P1 could have avoided. Here is an accident to contemplate if you think experience makes you safer, both of these very experienced pilots probably had more hours than anyone posting on here and were quite happy to quote" fly in IMC with a low cloud base"
All flying accidents are preventable. If, however, we go flying, some will occur and, provided the risk is understood and duly allowed for, the risk is mitigated. I do not think that recreational flying has a safety problem. I have learned valuable things at Gasco evenings and have no problem with a safety based culture. I think another poster had it suggesting experience made him better at evaluating risk but we are all grown ups trained to think and fly safely. Some of those trying to make the world a better place, seem to forget that from time to time. tomshep wrote: If, however, we go flying, some will occur and, provided the risk is understood and duly allowed for, the risk is mitigated. It seems to me we are getting drawn in to a mindset of ever increasing effort for ever reducing improvements in safety, in an attempt to remove risk from something that is inherently risky. It really does seem to becoming a mindset. What worries me more than knowingly deciding to cross water, or flying over water at 200ft, etc, etc. Is getting in the car with no control over what or who may be round the corner and with absolutely no power to mitigate that risk…that's where I feel more exposed to danger. Having chosen to take a risk and to come unstuck is acceptable. To unwittingly become unstuck simply because of the time you left home, for example, is less palatable. 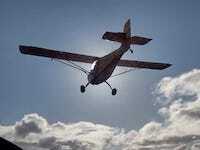 tomshep wrote: All flying accidents are preventable. Therein lays the problem- Understanding The Risk. You can only understand the risk if someone has spent some time assessing that risk and passing that knowledge onto you, that's the whole basis of professional risk assessment in any field. You say you do not think recreational flying does not have a safety problem, I disagree. 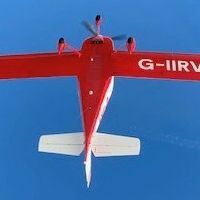 Ive been around a fair few years and in that time personally do not know of one car driver that has died on the UK roads.I personally know 10 pilots who have killed themselves in light aircraft accidents over the same period and I think you will agree there are a lot more cars around than light aircraft! I have always l kept a mental list of pilots Ive come across who I think will eventualy kill themsleves, all of them bar one has killed themsleves so far(although he has just retired thank God). I was telling this story to a school CFI a few months ago and I told him that I had added one of his pilots to my list on the basis I had only seen him fly twice and both times it was an illegal flight. I said he is going to kill himself. The CFI replied,he just nearly has and showed me the AAIB bulletin where he had inverted an aircraft at an airfield and wrote it off after yet another illegal flight! Harry Brown wrote: ...the foundation of personal safety for most pilots stems from the training they have received. Really? The foundation of my personal safety is my desire to stay alive. Declined to fly in an aircraft that a professional instructor assured me was safe. Declined to fly in conditions that a professional instructor assured me was safe. Declined to fly with PPLs that the 'system' has certified as safe. Broken maintenance regulations because the actions of a professional aircraft engineer were making me less safe. Taken my revalidation elsewhere because a CFI/HoT was more interested in playing policeman than anything to do with flying. Stopped socialising in certain flying circles when it became clear that thinking for oneself was not approved behaviour. Become unpopular because I do not automatically show deference and greater-than-usual respect to instructors or other aviation professionals. Told a fellow low-time PPL to just sodding well climb, and that I don't care what his instructor said: when we're flying over Snowdonia MSA is much more important than the VMC minima. Argued with an instructor in a public setting on a club flyout over their request that I relinquish to them the well-equipped Archer III I had hired and accompany another PPL in a poorly-equipped Cherokee 140 to ensure there was a instrument qualification in each aeroplane. I'm always trying to improve my own safety. I read accident reports avidly, and the most constantly-thumbed book at home is Human Factors & Flight Safety from the Jeremy Pratt PPL series. I've not socialised a great deal in flying circles - I have only met two other people on this forum (to my knowledge at least) - but I have to say I've never really met a pilot who's attitude I would describe as making them an accident waiting to happen, at least in the recklessness or anti-authority sense. I did see one on the weekend though, but it was in the air so I don't know who they are. When it comes to those who are less safe than they could be, I've met one or two who I think are on borrowed time because they just don't have the aptitude and mental sharpness to fly safely. But by far the most numerous are those I've met who think that strict adherence to every rule and everything their instructor said will by definition keep them safe, as though there was nothing else they needed to worry about. Training is important, but it's only as good as the people devising and delivering it. There are some good people out there, a lot of average people, and some bad people. It's the same as any population - aviation professionals are not a special case in this regard. Think for yourself. Keep yourself safe, because no-one else has quite the same vested interest in your safety as you do. Last edited by defcribed on Thu Feb 07, 2019 11:47 am, edited 1 time in total. You see, I have a problem with that term, it doesn't allow for pilots choosing to be less safe than they could be and accepting the consequences. That is a perfectly acceptable position to take. It's not for others to dictate what risks other pilots should take, providing it's legal and they are not putting third parties unknowingly at risk. There must be a few old lag instructors at grass roots level who are holding their fingers back from the keyboard. Exposure to a wide sample of the general flying population soon makes you realise THREAT (from a permutation of incompetence, poor training, poor skills, attitude, ego, selfishness and poor airmanship) from some of the people in your flying vicinity is probably more likely to take out the well trained pilot more than the ERROR of self-destruction. If you met some of the pilots we meet, you might be happier (relative) with the scattergun approach to safety 'broadcasts' - it won't hit 100% of the people who need it, but if it hits a measurable % of those who need it and 100% of those who don't, it is still more of a 'win' than a loss. Ps: Apparently I am going to be treated to compulsory folic acid in my flour based products. I am not likely to give birth anytime soon though. But apparently a minority of people are, and need it (ramming?) down their throats. One of the things Ive noticed over my adult lifetime is most people share your desire to stay alive its part of our genetics. I think I can safely say, without talking a poll, that most students/pilots at our school share your desire too . Using your argument alone then this means that I no longer have to teach them CRM, TEM, SA, Airmanship or Aviation Decision Making because their overriding desire to stay alive will take care of them in all circumstances. Last edited by romille on Thu Feb 07, 2019 11:59 am, edited 1 time in total. I know, sorry, I pondered over that term and wasn't sure if I could express it better. What I really mean is people who I think are inherently somewhat unsafe because of an attitude or ability factor, not because of particular choices they make. It's not casting anything at people who fly SEP at night over mountains or anything of the oft-debated points like that. Harry Brown wrote: One of the things Ive noticed over my adult lifetime is most people share your desire to stay alive its part of our genetics. I think I can safely say, without talking a poll, that most students/pilots at our school share your desire too . Using your argument alone then this means that I no longer have to teach them CRM, TEM, SA, Airmanship or Aviation Decision Making because their overriding desire to stay alive will take care of them in all circumstances. Not my argument at all, but you can always trust someone on here to twist the point you're making. Listen and learn, but above all think. By the way, most people do indeed share that desire to stay alive. What is highly variable is how good they are at it. All opinion is valid and useful, its unfortunate that some on here cannot accept anything that challenges their divine right to be correct without making snide comments but not today, so far!